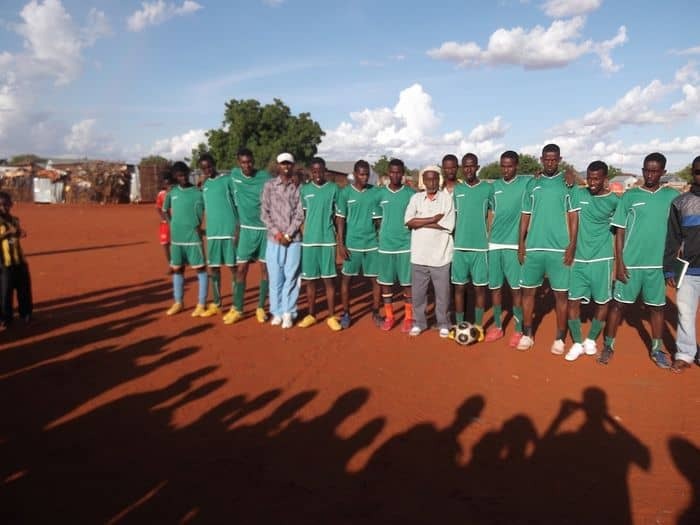 Beled-weyne district football team in the Hiiraan region defeated its Guri-el district rivals by 3-2 in a friendly match hosted in the district of Guri-el in the central Somali region of Galgadud over the weekend. This was the first time in three years that young boys representing the Hiiraan region have been able to cross into the neighboring Galgaduud region. The Hiiraan region has been under the control of the Al-Qaeda-linked Somali militants of Al-shabaab and football has been banned in the entire region during the Islamist rule which ended earlier in the year. 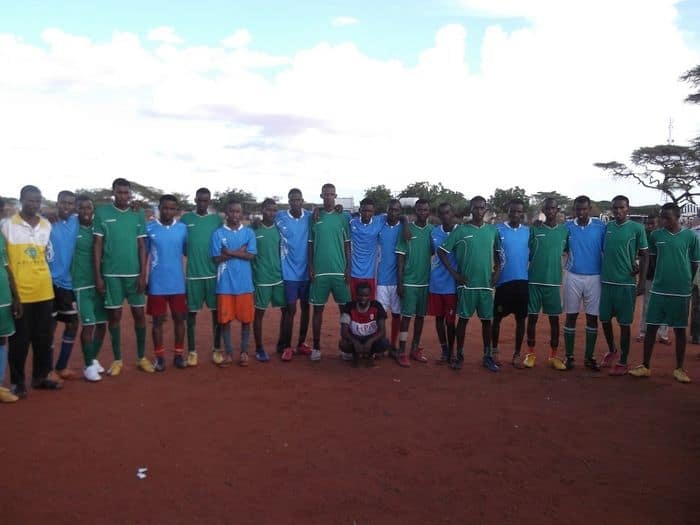 The friendly match held in Guri-el on May 5 was officiated by Ali Hassan Beile and other young referees who were trained under the Somali Football regional boost up program last month. Galgadud regional sub football committee chairman Abdirashid Aden Roble who welcomed the arrival of Hiiraan region delegation told the media that he was very pleased that his city hosted the first football match between cities from the two regions whose people didn’t cross from region to region for the past three years, because each region controlled by a hostile Islamist group. The Hiiraan region was under the control of Al-shabaab, while the other region was administered by the none-militant Islamist group of Ahlu Sunna Wal Jama’a who has ties to Somali government and international community too. 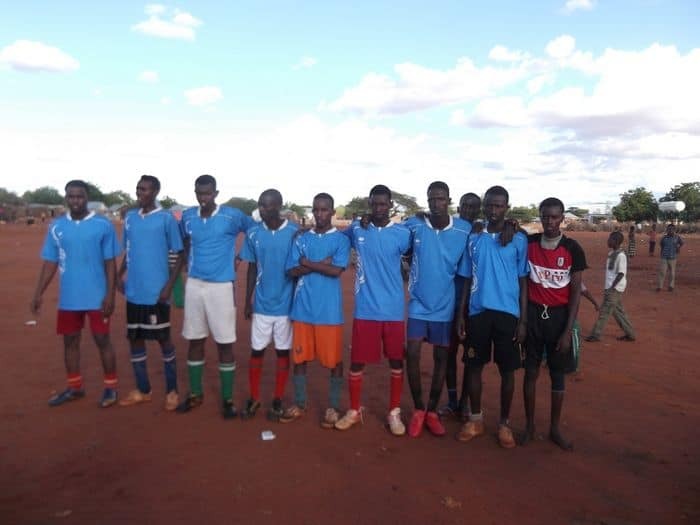 “Although my district team was defeated at home, then I am very happy that we can cross to each other and football competitions between the two regions will continue-we are very grateful to Somali Football Federation for assisting the promotion of football in the regions” chairman Abdirashid Aden Roble added. Somali Football Federation secretary General Abdi Qani Said Arab praised both regions for the revival of football competitions between them. “This is what the Somali Football Federation has been expecting in the past and the continuation of football competitions will help the development of football across regions in the country” the SFF secretary General said in a press statement” Monday. He said that Somali Football Federation had earlier in the year drawn a special development program for the regions across ****Somalia**** which so far yielded positive results. 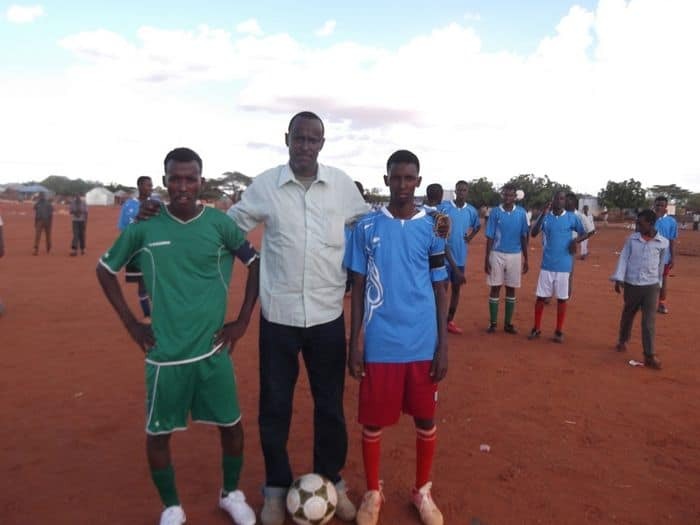 He emphasized that the development courses held in the Gal-Mudug state last month were part of the regional football boost up program adding that the young referees trained last month are now on duty.